The Frontier Crimes Regulations (FCR) was legalized by the British government in 1901, to control tribal territory through a political agent. However, the recently introduced amendments in the infamous FCR are cosmetic ones, and will not bring any visible change to the life of tribal people. 1- No one can be indefinitely detained, and people will have the right to appeal in the FCR tribunal which will have equal power as the High Court. 2- Cases will be decided in a fixed time frame and those arrested can be released on bail. 3- Women and children below the age of 16, and elders above the age of 65 will no longer be subject to the collective punishment provisions process. 4- No person in the Federally Administrated Tribal Areas(FATA) can now be deprived of their property without being provided compensation. 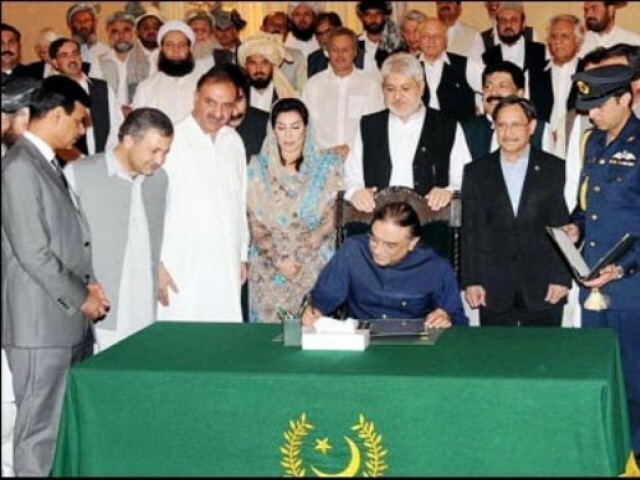 5- The political agents’ use of state funds will now be subjected to audit by the auditor general of Pakistan. However, let me point out that the right to appeal in the FCR tribunal against a political agents’ decision has been in place for decades. Moreover, the problem with the amendment that gives equivalent status to the FCR as the High Court is that powerful bureaucrats including political agents will still be members of the tribunal which is expected to deliver justice to the people. Now, this amendment would have made a difference to the tribal people if professional judges, who are free of all types of influence, were appointed to ensure real justice to the tribesmen. In addition to this, cases of tribesmen are already being decided in a timely fashion under the anti-human law of the FCR. People are granted bails depending on the mood of the political agents and one’s personal connection to them. Regardless of the amendments, these political agents enjoy unlimited executive and judicial powers. Coming to the amendment about the collective punishment provisions process, as par tribal traditions, women are not detained by political administration or tribal people. Yes children and elderly people were previously detained by political authorities, but due to the mainstream media and pressure groups, over the last decade the political administration has relaxed the law on their own and avoids arresting any child and elderly person. As far as the provision of compensation is concerned, the political administration has already been compensating tribesmen for the illegal occupation and demolition of their property by political administration. However security forces have killed a number of innocent people and demolished their houses in tribal areas. Regrettably, the political administration despite knowing this fact hasn’t compensated the victims as they are scared of the strong military establishment. In June this year the government passed Actions Regulation 2011 for Fata and PATA , allowing the military rights to arbitrarily detain suspects and occupy land without compensation. Moreover, they gave courts the authority to punish a suspect solely based on the testimony of a single army officer. This shows the real contrast in government policies; they give more freedom and human rights to the tribal people through amendments in FCR and curb their rights, at the same time, in the form of Action Regulations. The auditor general of Pakistan is authorized to audit the political administration’s utilisation of funds. I ask you, will he be able to put an end to the illegal money collected from smuggling and non-custom paid goods? If we see the role of the auditor general in the rest of the country where the misused money and public exchequer is an open secret, it is blatantly clear that he will have no check on the fund utilization of political agents. According to the fresh amendments a whole tribe will not be arrested for the crime of a single tribesman, but action will be taken against the family members of the accused followed by subsection and sub-tribe. The restricting of collective punishment to the family, sub-tribe and subsection of the tribe has been in practice long before the new amendments. The ex-agency councillor of Khyber Agency, Hasham Khan, said that collective punishment of a tribe for the alleged crime committed by its member was not fruitful for political administration, and so the law was restricted to sub tribes and family members of the criminal by political administration over the last decade. He further stated that that amendments give legal covers to all these practices. Moreover the exercise of executive and judicial powers by political agents is against human rights and until and unless the executive powers are separated from the judiciary the governance and judicial system in Fata can not be improved. This is why I am stressing that the recent legal reforms hardly seem anything more than cosmetic measures. A reporter who has done his masters in journalism and mass communication. 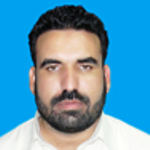 from the University of Peshawar in 2004.